Plank pose is celebrated not only in yoga, but in pilates and other schools of fitness as the ultimate total body strength exercise. Plank strengthens all of the major muscle groups: the chest, shoulders, abdominals, back, buttocks, and legs, and uses the muscles of the body as a whole. Plank also activates the "core" muscles - leading to better posture and stability as well as those toned abs that everyone wants with no boring sit-ups or crunches! Plank is actually not a classical yoga pose, but in many ways it is the key to all yoga poses. In plank, we learn to connect to our strong center and extend outward while supporting our weight on our hands and feet. As a highly strong and muscular pose, plank provides the opportunity to build total body strength and integration, as well as the opportunity to explore the "light" quality of being strong. 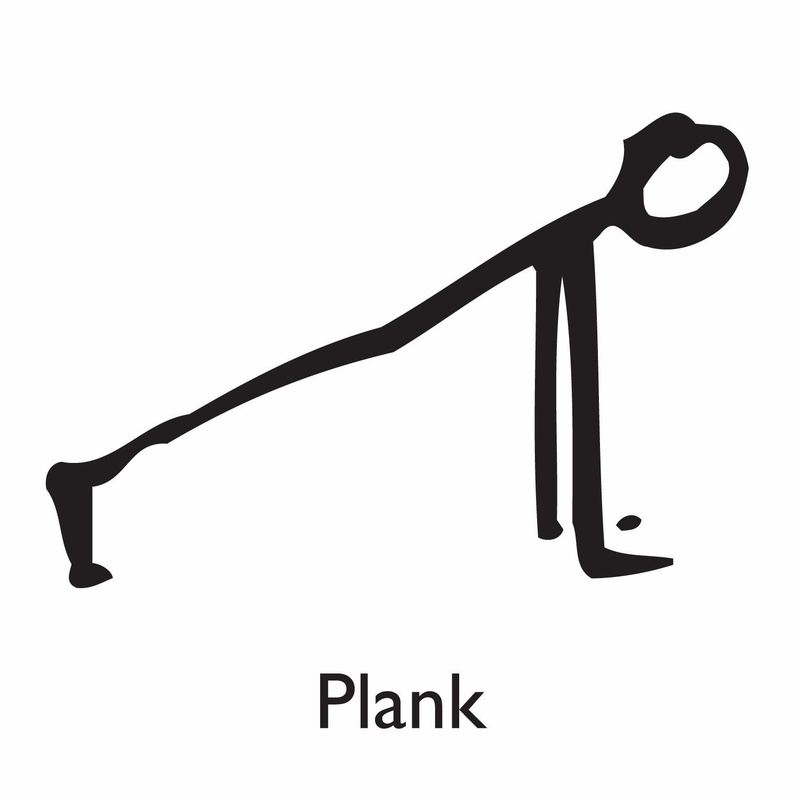 When I practice plank, I like to think of a plank of wood - long, strong, stable - floating on the surface of the sea. Learning plank pose is really learning how to stand up straight by changing our orientation to gravity. Learning plank in all its variations in which we stand on our hands - sideways (vashistasana), backward (pursvotanasana), with bent elbows (chaturanga dandasana) and even upside-down (handstand or adho mukha vrksasana) ultimately help us learn to stand up straight on our feet in mountain pose or tadasana. And learning to tap into the core strength that holds us straight and centered also can help when we start to take ourselves off center in standing balance poses. Please join me on Saturday, February 1st for a special workshop to learn the basics of plank and lots of fun variations to strengthen, center, and stand up straight in any situation!